Discussion in 'Announcements' started by Thomas, Mar 4, 2018. Do we keep our ranks on all the servers being reset? Also I'm very happy about a reset but it's also kind of sad! I've also purchased Ultra and Overlord on Factions and Prisons so do I get my money back? He said that you'll be able to get it back through store credit. What if you bought more than one rank, on the same game mode? Does the store credit extend for all of the bought ranks and stuff? I'm not sure weather i'm excited or sad about this! If anything we'll hopefully all love the new squishy! So do we keep our money?? it'll be cool if there was a command sort of how beanblockz did where you can go back and see your old survival world/. I know|! I have made too many suggestions lol! I agree in the sense that it's an unfair advantage, but it would also be unfair to those who paid for them. That would be a lot of money to have to refund and I doubt that they could. I'm sorry, what is a unfair advantage? Do you mean people who start with ranks after the reset? I don't follow? Ahh, Thank you for clearing up what you meant. I believe it's as fresh of a start as possible. Had this been the upstart of a totally new server I would understand the opinion of everybody starting with the absolute same. However because it's not, and alot of people have saved up to buy these ranks over much time, taking them from people would not make sense, since they 'own' them, and payed for them. And the refund option isn't actually an option in that the money people use to buy these ranks keeps the server a float. It's not free to offer a server to people like this, and the people buying stuff of it actually helps keep it online for everybody to use. It's an important part of the way a server can exist. When the server resets we will all have to start the same place. Ranks will be able to get kits, but there is a cooldown on these and you can only get the things in a kit every 24 hours. So they will not start with 'too much' atleast. I am actually really happy that squishycraft doesn't discriminate the way many server do, when they have 'rank' only areas or rules that doesn't ably to ranks. There is non of that here, and as someone who has played both as a 'normal/nonRank' player and as a rank player on here, I know both is very pleasant. I'm really excited for this! How long will the actual reset take and will there be a whitelist hour for ranked people after the reset because many other servers do that! Can't wait to see the new content added as well! Hai, so those of you who have stuff in creative that you wanna keep, you can save a toolbar with the stuff and move it to a singleplayer world. If you don't know how to save toolbars, just google it. I hope this helped some of you. Also, maybe before the reset date, all gamemodes could be changed to creative? So people can save stuff in toolbars? How long do we think the reset will take? I am so excited for a fresh start! Bit of bad news unfortunately. Late yesterday when turning on my PC I noticed there was a few issues with one of the drives - all was well until I tried to access the data, where nothing would work. 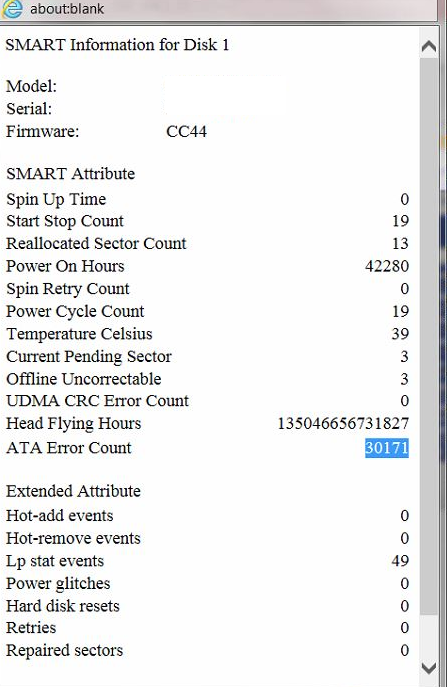 After checking the status I can see the drive had failed - after going through many attempts to recover the data, I have only managed to recover around 50%. This isn't enough data to reset on, and recreating the data lost will take much longer than the day we have left before the agreed reset date. I am going to be (and have already started) working on recreating what was lost, however this isn't something which can be done in a matter of hours. I've spoken with the Sr. Mod's about this and whether or not we should have a staggered release (the files we have recovered are that of the proxy, hub, and creative), or delay until the full thing is ready. We don't want to disappoint, so have opted for the delay. We will now be aiming to reset on Wednesday 28th March. I can't apologise enough for the inconvenience - a lot of hard work went into this project which now needs to be delayed even further. We want it to be perfect before opening, and that's exactly what we're going for. There is now appropriate backup plans in place for desktop machines, meaning that this issue shouldn't (and won't) happen again. I'm going to lock this thread temporarily (will reopen sometime shortly), just so anyone who reads the thread will see this as the last post. I have updated the date in the main post too.